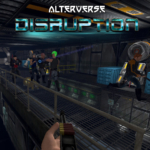 AlterVerse Inc. – A gaming and world-building multiverse. HUGE EASTER SALE HAPPENING NOW! CLICK HERE! Welcome to the AlterVerse! Earn Aces playing, creating and hosting games! Coming soon to Steam! 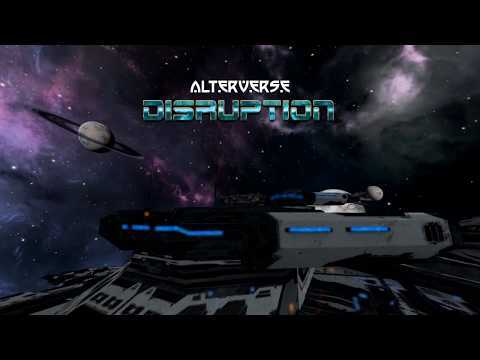 Add AlterVerse Disruption to your Wishlist today! Subscribe to our monthly Newsletter to keep up-to-date! Host a Pre-Made Game Server! Complete the Quest - Earn 500 Aces! Improve Your Time and Climb the Ranks! Buy Your Own Disrupter Ship. Set the Fee for Players to Raid it. Set the Treasury and Defenders. Kick Back and Count the Coin! For millennia, mankind has wondered what lay beyond the stars. That question has now been answered. On February 29th, in a secret black-budget research facility, Dr. Ally Puckmere, one of the world’s leading astrophysicists, tore a hole through the fabric of space and time itself, disrupting our very reality and opening a gateway to an Alternate Universe, an AlterVerse. Once stabilized, the inter-dimensional portal presented an incredible opportunity – to take space exploration even further than humanity had ever imagined. Billionaire Sidney Trawle learned of the discovery and began funding the construction of a spacecraft capable of generating an experimental disruption field that allowed entry to the AlterVerse. A Disrupter ship. The ship was named the Magellan, and a crew of 100 people were selected to sail into the unknown. Jalen Blade was chosen to be the Captain. The criteria for entry were strict – the crew members were all in peak physical condition, among them some of the best minds in science and engineering that the world had to offer. There was another rule – the crew were unmarried and without children. The dangers of the mission were great, and they knew that if they left, they may never return. Knowing the risks, they said their goodbyes – and they opened the portal. The Magellan and her crew found themselves in a new solar system they called Solone. The first habitable planet they found was a cloud-covered planet with a thick atmosphere. They named it Aureus. This would be home base for now. They built the first Sky City on a great, round platform, high above the clouds where the atmosphere was thinner and easier to breathe. There was no time to waste though, there were more planets in the Goldilocks zone to explore! As the years passed, more Disrupter ships began to traverse the breach into this new dimension, and exploration began in earnest. The inter-dimensional colonists were shocked to discover what appeared to be the ruins of other civilizations much like those found on earth. With no sign of the original inhabitants, they began to restore villages, towns, and cities to their former glory, learning much about their new home system and greatly furthering mankind’s understanding of space travel and exploration. 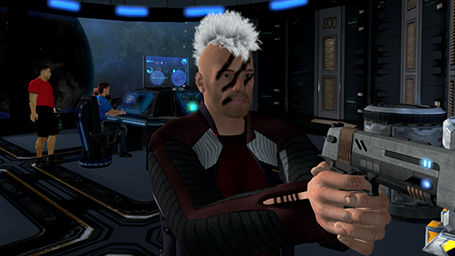 Now, you too can join a Disrupter crew and explore the AlterVerse or buy your own ship and be the fearless Captain! Risking life and limb, you can raid other ships on Solo Raids or form an Alliance and raid as a co-op team. Alternately, you can complete the heart-pounding Quest for the Keys and save your ship from certain destruction. Soon, you’ll be able to compete in thrill-a-minute, Battle Royale competitions in the deadly XR75 Stingers! 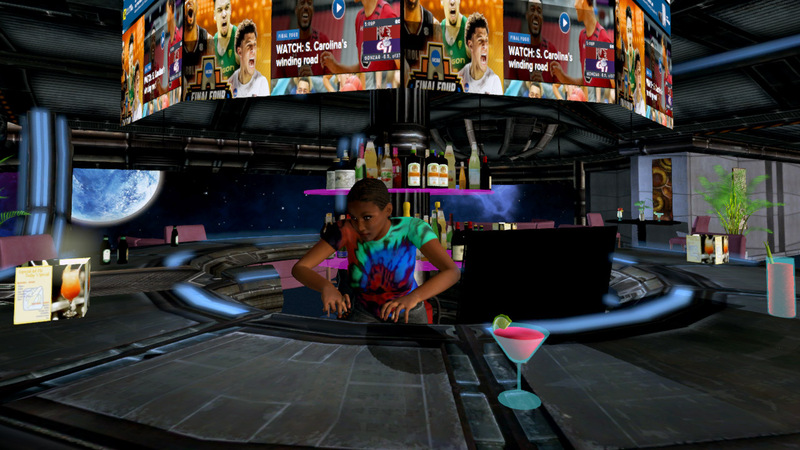 Join the festivities or simply relax and enjoy the breathtaking views of the AlterVerse cosmos – you can even experience the AlterVerse in VR with the Vive or the Rift! 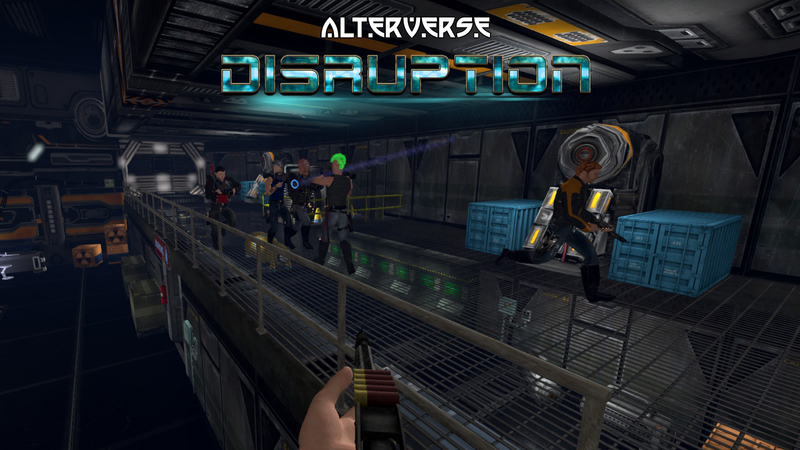 The AlterVerse is a gaming and world-building multiverse, where users can play and create an infinite number of interconnected games and worlds. Players, Streamers, Builders, Creators, and Hosts can monetize their activities using our in-game tokens called Aces™. Currently in development, we are on the verge of releasing our first Game, Disruption, on Steam and elsewhere. Soon after, we’ll release 5 Home Worlds and Quest Levels in a variety of themes. 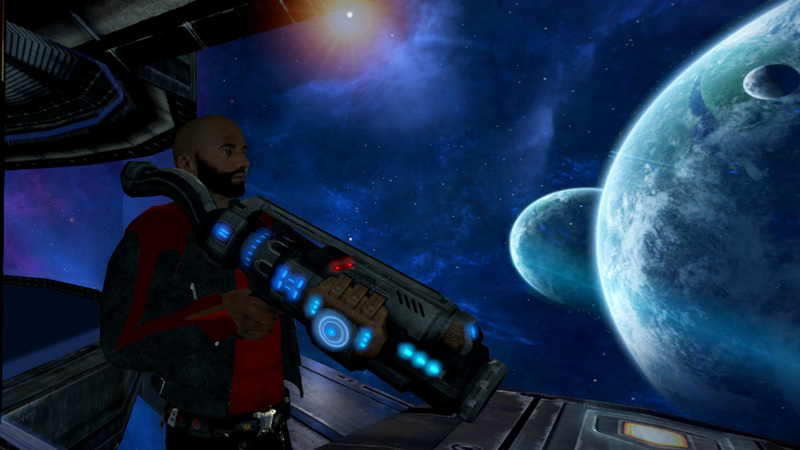 Players will be able to fully customize them, choose from a variety of game mechanics OR just use the assets to create their own home or business in the AlterVerse. Those who don’t want to build can play and make money in the immersive environments, with PvP, and PvE action, full farming and crafting systems, hunting and fishing, built-in voice chat, instant messaging, mounts, Oculus Rift and HTC Vive support and more! You’re the Captain of your own, customizable Disrupter Ship – Players are coming from all over the world to pay to play your game! Raid the treasuries of massive Disrupter Ships, complete dangerous Quests, have the adventure of your life and make money while you do it! Earn cash just for referring other people to the AlterVerse with our lucrative Affiliate program! Creating Your Own Worlds and Games! With Professional Editors, soon, anyone will be able to create their own home, business or game in the AlterVerse! Creating your own Alliance and inviting your friends to join up and battle the hidden dangers in the AlterVerse! Customizing your look in 6 different themes – Male and Female avatars! 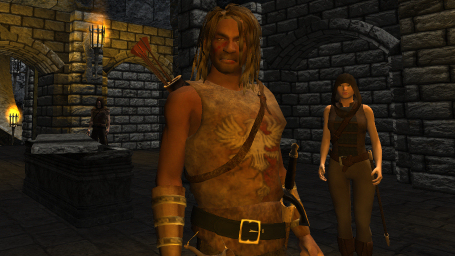 Going on a dangerous Quests meeting and talking to helpful NPCs, complete with facial animations! Hook up your Oculus Rift or the Vive and find yourself onboard a massive Disrupter ship with sights and sounds coming at you from all directions! *VR Gear is NOT Required to Play. Getting PAID to complete a Quest and then climbing the Leaderboard! Head out for adventure and major loot! 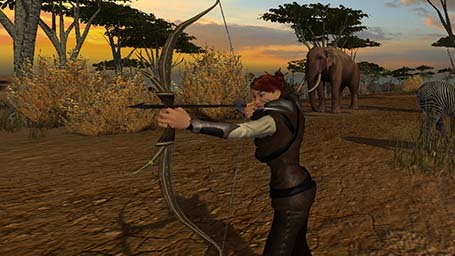 Punching, kicking, sword fighting, throwing and firing a huge number of weapons! Riding Horses, Gargoyles, and other creatures! Even flying your own deadly XR75 Stinger! Chatting with friends with the built-in, ranged, directional, voice chat system! Many Worlds in Many Themes! You’ll start your adventure aboard a Disrupter Ship exploring and raiding as you go. As new worlds are discovered, you’ll be able to call one of them home and learn to survive in a hostile yet beautiful place! Captain your own ship in the AlterVerse. Raid other ships, dog fight and play Draft Ball! A world of azure blue with sunlight dancing on its waves. A world with forested jungles, expansive oceans, and sandy shorelines. A lush green world of grassy glens encompassed by mountain ranges. Stately mountains stand guard over the palm trees swaying on golden beaches. Snow capped mountains, rocky cliffs, and icy seas abound. Use our extensive avatar customizer to get just the look you want. Male and female options, six different core styles based on the ship and Home World you choose, hair, face shapes, eye color, skins, skin tones, make-up, scars, tattoos, facial hair, and accessories! You’re going to enter the AlterVerse in style! 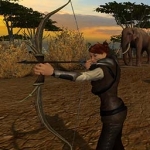 @Tigairius – A great team to build something that gives players the freedom to build while maintaining the RPG aspect on top of integrating unique game play systems to enhance the excitement. This is by far one of the greatest ideas. 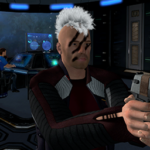 @Wilointios – This game is WoW, StarWars Galaxies and Vanguard all rolled into one! @redbeard – I can’t wait to play this game.. I have been waiting in mouth watering anticipation for far to long for a game of this caliber! @cxsaw – Started reading: “Build. Battle. Believe. 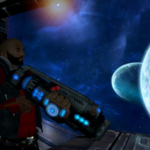 The AlterVerse is a VR world-creation and gaming platform. 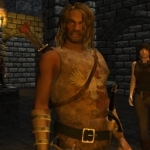 Imagine a three-way combo of Skyrim, Minecraft and Second Life” Enough, Voted YES immediately. @ekwolkove – Hey, dude… What a game, huh? Awesome project! Congratulations!!! You have my vote, I’m excited to play. @Shadow – Battle, Build and Believe? And a combo of Skyrim and Minecraft? I want it now! 😀 I like the video. Your game could be bigger and better than Minecraft. 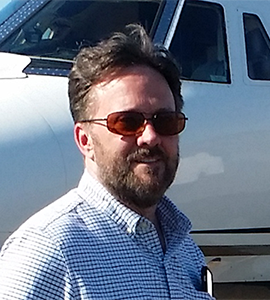 A former stockbroker, blockchain enthusiast, and lifelong entrepreneur, Scot has been creating engaging online communities, virtual worlds and games for over 20 years. Before Bitcoin, he created his first digital currency, the Arn, back in 2005. Michael has a B.S. in Computer Science and has been programming for over 30 years. He has honed his skills in C++ engine code, game mechanics, PhysX, OpenVR, Steam API and code oversight. Jeff is a game industry veteran with over 14 years experience. 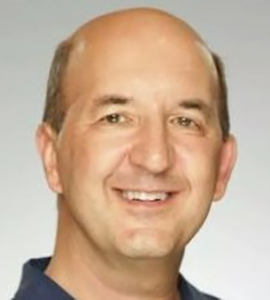 At Electronic Arts and Perpetual Entertainment he served as a lead artist on many titles including The Sims 4, Star Trek Online and The Sims Mobile. Jeff also has 10 years of advertising art direction experience. From Orlando, FL., Financial executive with experience serving multi-billion dollar technology and media companies, non-profits, and an internet startup – GotChosen, Inc. (named a Top Ten Tech Startup in Orlando). Phil has an M.B.A. in Finance. With a B.A. in Communications and Mandarin, Nathan has worked on campaigns from concept to delivery in broadcast and digital video, audio, brand identity, 360/VR, and crowd funding. 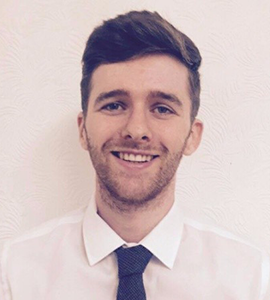 Conor is a content marketer from Ireland with a BA in English Literature. 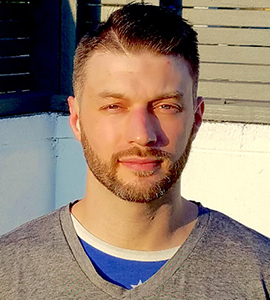 He works with blockchain companies to scale their business and develop their online presence using growth hacking techniques, and has published thousands of pieces of blockchain content on media outlets, industry blogs, and websites. From Manchester UK, Luke has a Bachelor’s Degree from The Manchester Metropolitan University. 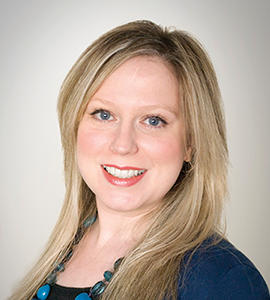 Specialties include: Social Media Marketing (SMM), Lead Generation, and Google Analytics. 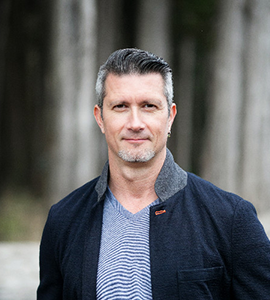 Michael Laraway is owner and CEO of MetaData LLC, an agency of community, social, and digital specialist that drive online communities. Michael found an interest in bitcoin in 2013 using it to play online poker. Seeing the potential he chose to focus full time in the blockchain space starting MetaData in 2017. 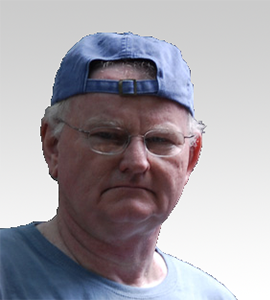 Brian is a multimedia website designer and CMS expert with over 20 years in web security and hosting. 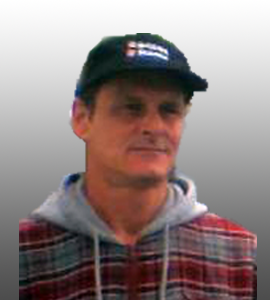 He works tirelessly keeping our sites up-to-date and secure and greeting newcomers. 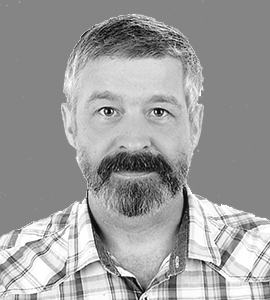 Tim brings with him 15 years experience in C++ programming and over 5 years working directly with our core game engine. His specialties include Graphics and Physics. 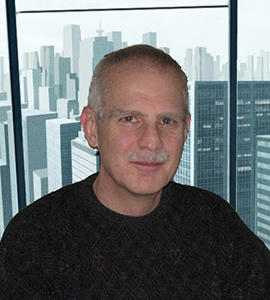 Peter brings his 36 years of extensive programming skills to create low latency, directional, and ranged voice chat for all of our environments. Eric has been heavily involved in gaming since he first got on a computer back in 1997. 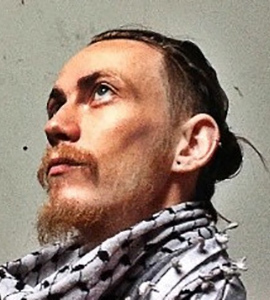 He has multiple talents including music composition, video creation and game design. 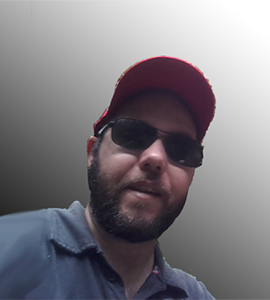 Since 2003, Stephan has specialized in modular, 3D model creation for easy click together construction in virtual worlds. 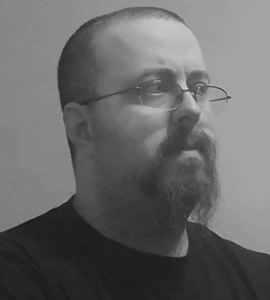 As a professional game tester, Derek has tested for Enemy Territory, Quake Wars, Battlefield, Mechwarrior Online, and now he brings his skills & team to the AlterVerse. 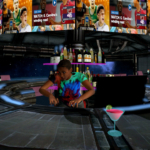 Cody has been involved with Aureus VR and the AlterVerse for many years both as a player and a builder. 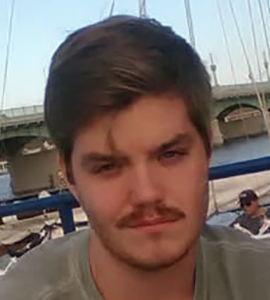 He’s currently a student in Game Design at Full Sail University in Florida. From London, Donna uses her awesome voice over talents to breathe life into our Advanced Virtual Intelligent Interface called Avii for short. Like Madonna and Prince before him, Isikol need only use one name. Isikol comes to us from Italy to paint beautiful images for our ad art!